Apple is one of the most popular and favorite fruits among fitness lovers. It is juicy and crunchy which makes it more delicious. Apple is packed with phytonutrients and antioxidants which in a real sense have health promoting and disease prevention properties. Apples contain antioxidant phytonutrients flavonoids and polyphenolics. Some of the important flavonoids in apples are quercetin, epicatechin, and procyanidin B2. These compounds help the body protect from harmful effects of free radicals. Apples also contain vitamin-C and beta-carotene. Vitamin-C is a powerful natural antioxidant. Apples also have small quantities of minerals like potassium, phosphorus, and calcium. Potassium. Apples contain malic acid, which made naturally in the body when carbohydrates are converted into energy. It is very important to protecting muscle function. 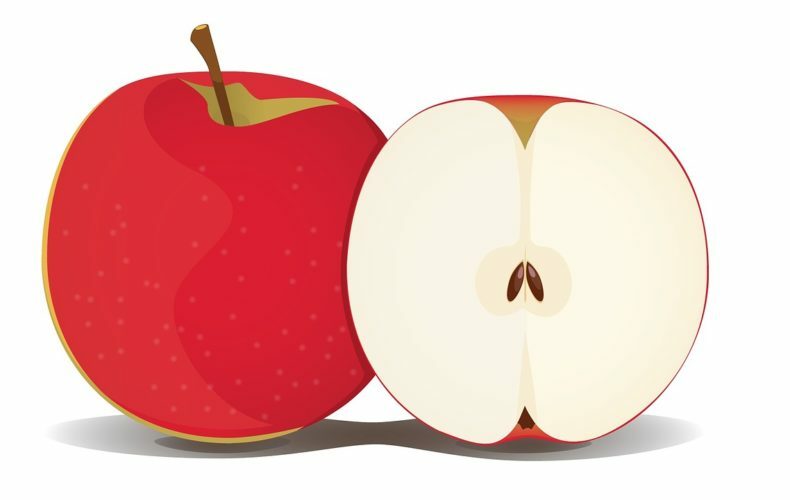 Malic acid deficient people are advised to eat more apples which are a rich source of it. Here are some of its major health benefits.